East or West - what is best? In the coming years, it’s likely that Europe will lose its status as Russia’s biggest economic partner and that Russia will form closer bonds with the East. 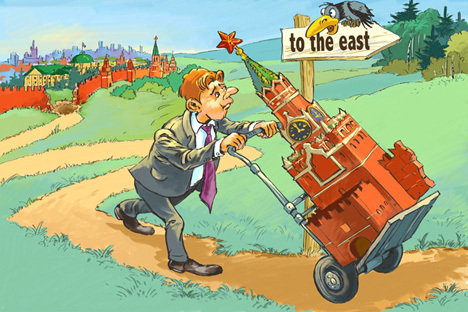 Europe’s unwillingness to take Moscow’s opinion into consideration when it comes to strategic security matters, which became clear during the discussions of the future of the European missile defence system, as well as the economic troubles that the European Union currently needs to address, have prompted Russia to revise the exclusively western foundation of its international policy. An eastern orientation appears to be the natural alternative, given Russia’s geographical location. Related article: East or West - what is best?